Book cheap UK rail fares online here and save yourself some pounds. No matter where your journey is taking you to in the UK, you can get the cheapest train ticket fares for any of the rail operators if you book well in advance, making room for flexxibility on date and or time of travel. If you are just looking to get a quote for a UK rail journey before buying your ticket, then use the facility we have provided below. Select your preferred destination now, including the date of your proposed journey, entering same into the search box below to get the rail fare. About 15% of tickets on some of the train lines could be purchased at grossly discounted rates, saving more than 70% on the standard cost of tickets. Not all tickets are usable at every station at all times. Advance tickets often comes with some restriction in terms of day of travel and time. So too are cheap return ticket and off peak tickets. Always look at the terms and condition governing tickets and UK rail fares for your choosen destination. 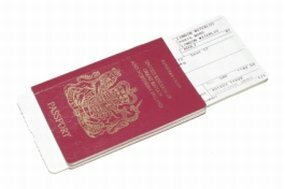 You are guaranteed to save on your train ticket fares if you do your home work as you plan your journey to anywhere inthe UK. Please see vital tips for saving even more on the box to the right of this page.